Christa Maher is the Volunteer of the Month for September. Christa and her husband Ryan Smith first came to UUCSS in 2014, after searching for a faith community that would fit her need for structure and Ryan’s need for openness. After the first service the kids asked when they could go back. Two weeks later Christa and her family experienced their first Catoctin retreat. They found UUCSS more welcoming and engaging than other places they had been. Also, they found it a good community for their family, a place to support their children in the wider world beyond home and school. Christa accepted the call to be Board Secretary in the summer of 2017. Given the tumultuous previous year, she felt that it was time to engage more fully and she wanted to find a way to help the congregation stabilize. As board secretary, she takes minutes at every meeting, organizes the annual meeting and all other congregational meetings, and sends cards on behalf of the board to congregants who are experiencing a difficult time. 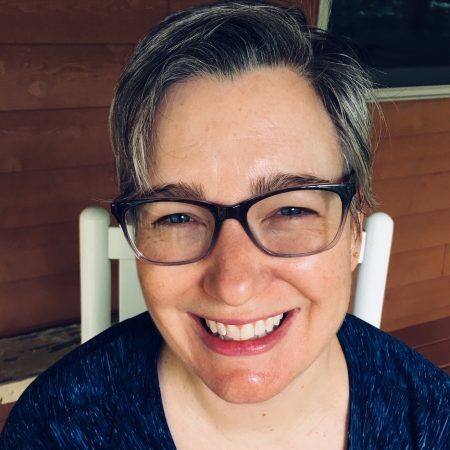 Christa feels that our congregation is made of people of many different interests, and if there is something that you want to do, there are likely others in the congregation who are working on it or would join you in making it happen. She believes that UUCSS needs everyone’s energy.